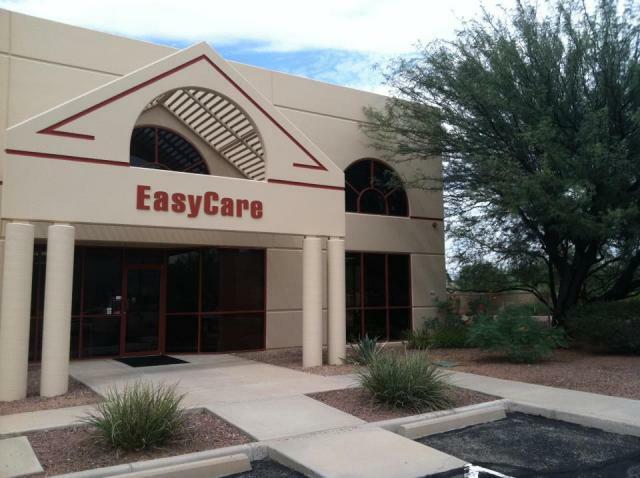 I have been with EasyCare for a little over a month now and what an amazing month it has been. On my first day at work, I received an email from Garrett Ford asking if I would like to support EasyCare and the Ford horses at Tevis. After pinching myself and confirming that I was awake, I responded that I would be thrilled to go. 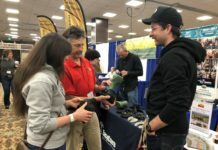 As someone that loves competitive trail riding, I have been interested in endurance for several years and have been impressed with how many endurance riders are using Easyboots. When I lived in Georgia, I wanted to volunteer at an endurance ride to get familiar with the sport. Unfortunately, I did not have the time to do this while I was pursuing my degree. Now that I am getting settled in Arizona, it looks like I’m going to have plenty of opportunities. Even though my exposure to endurance is minimal, I know how prestigious Tevis is. Although I was thrilled to have this opportunity, I was also slightly terrified. My first endurance experience was going to be a crash course: crewing at Tevis and crewing for my boss, a boss that I hadn’t even met in person. On top of that, the weather forecast was ominous, calling for rain and snow in the days prior to event. 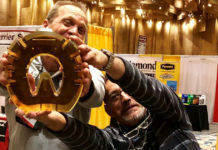 We packed our winter gear and Brian Mueller and I arrived in Reno the Thursday before the ride. 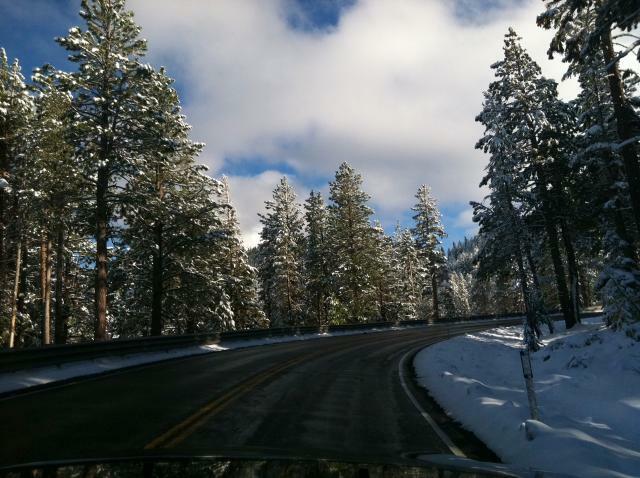 The drive to Lake Tahoe was stunning with several inches of snow blanketing the trees. Upon arrival, we learned that 22 inches of snow had fallen at Squaw Valley and that the road into Robie Park (the start) was impassable. There was concern that the ride may be canceled, but within a few hours it was announced that the ride would take place with an altered route (now starting and finishing in Auburn). Snow on the way to Lake Tahoe. On Friday, Brian and I manned a tent at the Auburn Fairgrounds where we displayed boots commonly used in endurance. 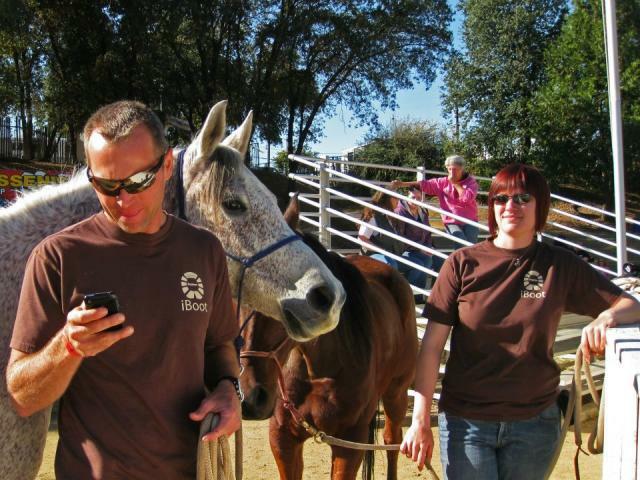 There was interesting mix of people; some had no exposure to horses while others were enthusiastic Easyboot users. There were also several riders that had never used boots and wanted to see the products that are performing so well in this sport. 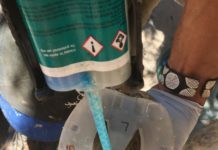 The majority of the questions were in regards to the Easyboot Glue-On and the application process. The videos on our website are a great resource and provide answers to these questions. That evening, I was able to see the gluing process in person and it was an awesome experience. Garrett Ford, Christoph Schork, Kevin Myers and Rusty Toth made the process look effortless. Garrett Ford, The Fury, GE Cyclone and myself. Crewing for the Fords was amazing; they were a ton of fun to be around and I learned so much. Garrett finished 5th on The Fury, one of three horses wearing Glue-Ons in the top 10! My first endurance experience was enlightening and I am confident there will be some competitions in my future.